The Zombie apocalyptic idea has always been around in movies (Zombieland), and video games (Left for Dead). I can go and name more examples, but you probably get the idea. We decided to do something fun, different, and inspiring. 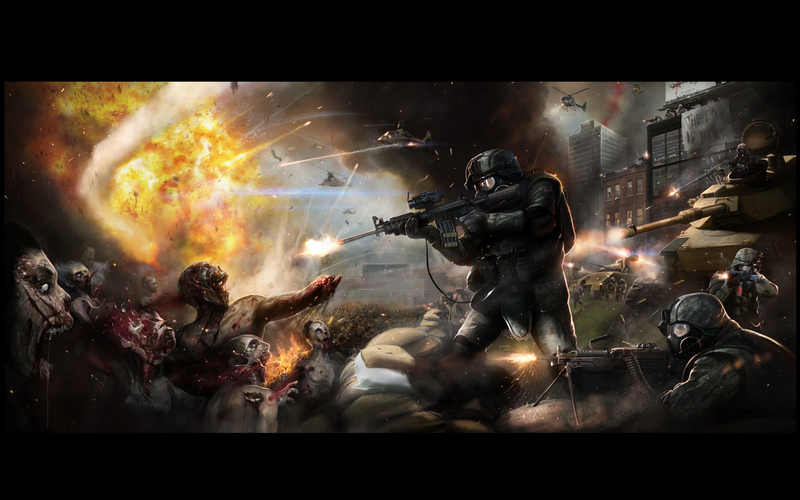 We decided to do an awesome zombie artwork roundup. These awesome examples below expand on the survival idea that is present in the video games/movies. We hope this collection will scare you and give you an idea on what it would be like to survive a zombie apocalypse. If you’re a zombie lover we would love to hear your thoughts so please comment below.